The Luo Pan (罗盘) is the most important tool of a Feng Shui Master (风水师). To most people, a compass is just a navigational tool to find directions, whereas to a Feng Shui Master, a Luo pan (罗盘) - Chinese Feng Shui Compass, not only tells the directions but also to determine the flow of Qi (气) of the external landscape and internal environment (home , office , buildings) for the purpose of harmonizing the human existence to bring happiness, abundance and harmony. 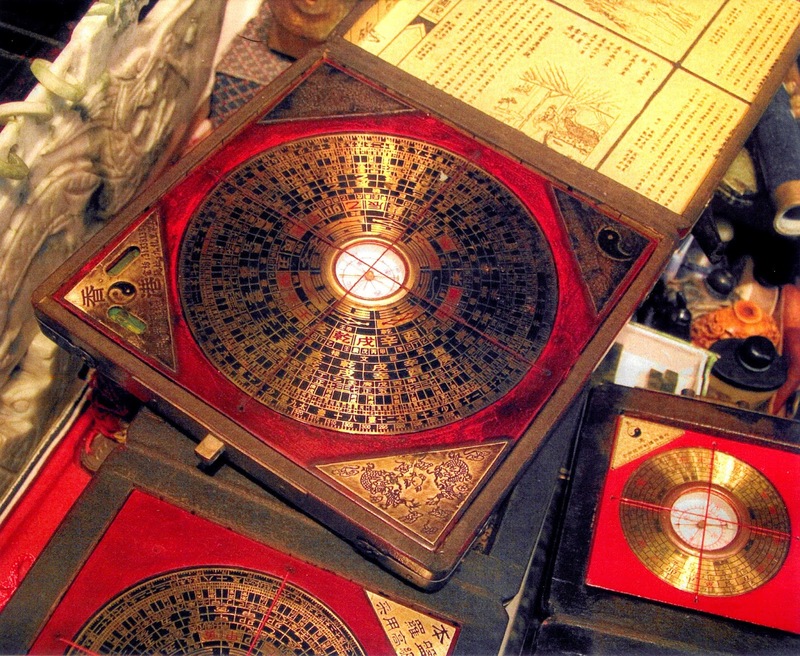 The magnetic compass was first invented as a device for divination as early as the Chinese Han Dynasty (since about 206 BC). Earliest records show a spoon shaped compass made of lodestone or magnetite ore, referred to as a “South Pointing Spoon” or Si Nan (司南) dating back to sometime during the Han Dynasty (2nd century BCE to 2nd century CE). Over the centuries, with new discoveries in land and directional theories by the respective dynasties' Kan Yu (堪舆) Experts (today called Feng Shui Masters), the Si Nan (司南) has been reformed, redefined and altered into Luo Pan (罗盘) for Feng Shui(风水) usage. The Luo Pan (罗盘) have since then became an indispensable tool for the Ancient Chinese Art of Feng Shui. Important: A Luo Pan needle always points towards the south magnetic pole. Chinese Feng Shui is generally categorized into San Yuan School (三元派) and San He School (三合派). San Yuan School(三元派) uses San Yuan Luo Pan (三元罗盘) and San He School uses San He Luo Pan (三合罗盘). The Luo Pan (罗盘) consists of bands of concentric rings arranged around the magnetic needle. Depending on which school or which system the Luo Pan is designed for, the Luo Pan can be made up of as few as 7 (basic rings) to up to a number of 40 concentric rings. Every ring carries with it a specific theory in the application of Feng Shui. Different Feng Shui systems may have different meanings given to a particular level of a Luo Pan. Depending on which system you advocate, the LuoPan can help the Feng Shui practitioner measure, locate, calculate and even predict the natural earth energies both directional and locational in a particular area. The San Yuan Luo Pan (三元罗盘) can be recognized by the presence of the 64 Hexagrams of the Yi Jing. The San Yuan Luo Pan is also generally called the Jiang Pan (蔣盘) (named after the founder of San Yuan Feng Shui, Great Grand Master Jiang Da Hong (蔣大鴻) - Jiang Ping (蒋平) (1616－1714 AD). The San He Luo Pan (三合罗盘) can be recognized by the presence of 3 distinctive rings of the 24 Mountains. 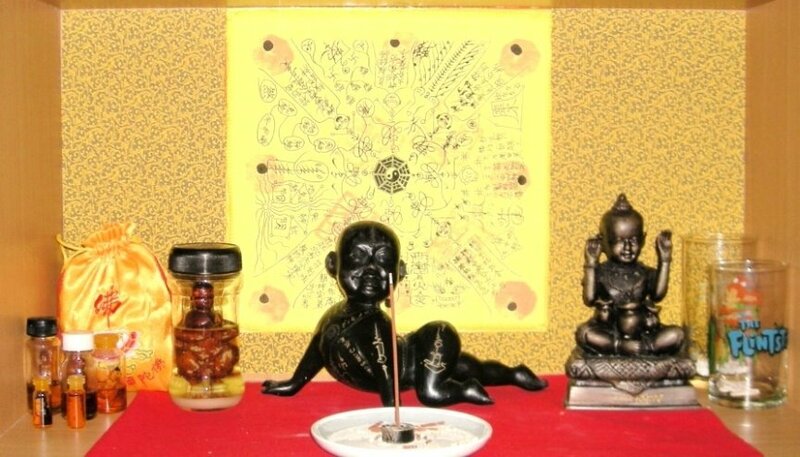 The San He Luo Pan is also commonly known as the Yang Kung Pan (named after the first Grand Master of Feng Shui, Grand Master Yang Yun Song (楊筠松)(834－900) of the Tang Dynasty). Zhung He Luo Pan (综合罗盘) is the combination of the San Yuan Luo Pan （三元罗盘） and the San He Luo Pan (三合罗盘). It is designed for those people who like to advocate both systems of Traditional Feng Shui. The information on a professional Luo Pan is written in Chinese Characters which cannot easily be translated or explained using English. Essentially, to get professional Feng Shui results, all the information shown on a traditional Luo Pan should be taken into account. Therefore, if You want to train to be a Feng Shui Professional, You have to spend months or a years or 2 to learn and understand the meaning, theory and formulas of the Chinese Characters written on the concentric rings of the Luo Pan (罗盘).